Last night’s show at the Hype Hotel was awesome (see our recap here), and now we’re gearing up for No Ceilings on Friday. The lineup is already stacked with some of our favorite artists, and now we’ve added Allan Kingdom! The Minnesota-based rapper has already dropped an excellent album, Northern Lights, this year, and don’t forget his star turn on Kanye West’s “All Day,” which also scored Allan a GRAMMY nomination. Allan replaces Section Boyz, who aren’t making it out to SXSW this year. 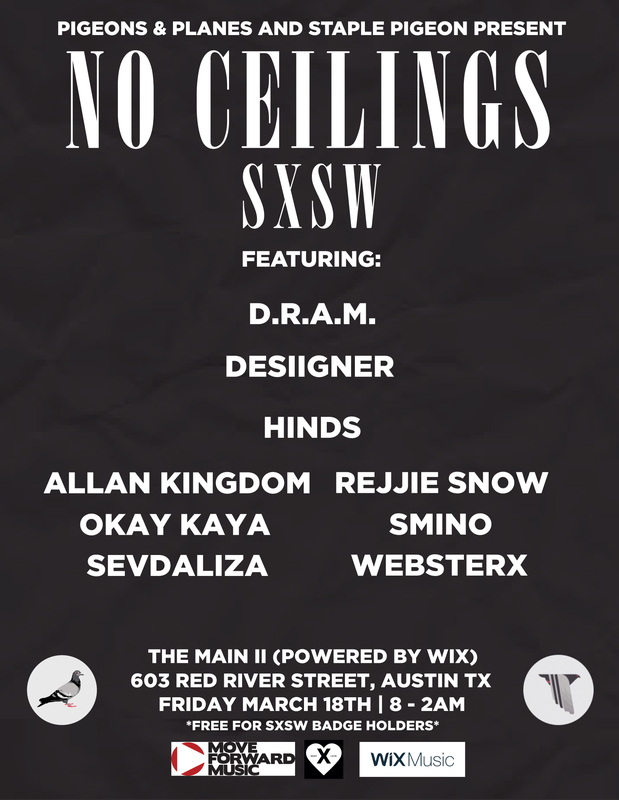 No Ceilings SXSW goes down this Friday, March 18 from 8 p.m. at The Main II (Powered By Wix) on 603 Red River St., Austin.